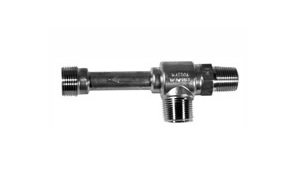 Watson McDaniel Check Valves are available in all 316 SS construction in 1⁄2” thru 3” sizes and were specifically designed to handle the difficult environments associated with steam and hot condensate service. 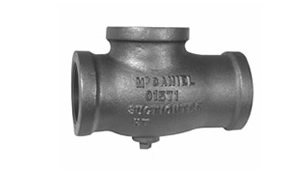 As a standard procedure, check valves should be installed on the discharge side of all steam traps to eliminate backflow into the trap. With the specially designed 1⁄4 PSI low cracking pressure spring, these check valves come standard on all Watson McDaniel Pressure Motive Pumps. Pressure relief valve standards regarding design, installation, performance and certification are covered in codes developed by the American Society of Mechanical Engineers (ASME) in Section I (for power boilers) and Section VIII (for pressure vessels). Watson McDaniel Safety Relief Valves are ASME qualified for steam service and are available in Bronze and Cast Iron in 1/2” thru 6” sizes. 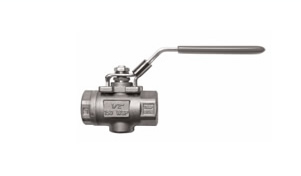 Steam Trap Test Valves can be installed downstream of any steam trap to visually inspect the discharge of condensate from the traps. Available in Bronze and Stainless Steel up to 1” in size. Watson McDaniel offers a complete line of steam humidification products for controlling humidity in commercial offices, hospitals, warehouses and various types of industrial facilities. 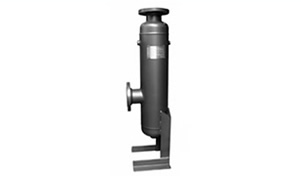 Separators are used for the removal of entrained moisture in steam and compressed air lines. Separators should be placed before all regulating valves to eliminate problems caused by water logging and wire drawing of the valve seats. 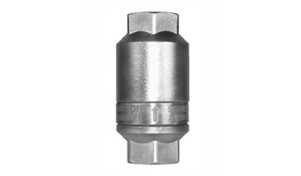 Air Eliminators are used on tanks or piping systems to vent entrained air without allowing the liquid inside the tank or piping to escape. Available in Cast Iron and Stainless Steel. Thermostatic Air Vents purge unwanted air from steam systems which can inhibit the steam from entering process equipment, vessels and piping. Air vents should be placed at all high points in the system but primarily on all pieces of heat transfer equipment. Vacuum Breakers “break the vacuum” caused by the condensing of steam or draining of liquid. 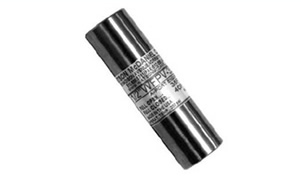 These are primarily positioned on the top of heat exchangers, allowing condensate to properly drain from the system. 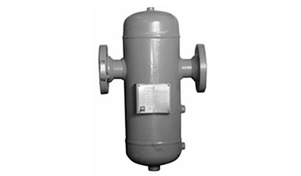 Ejectors are used for non-electric pumping of fluids or evacuating a tank or vessel of air or other gases. They are commonly used on sterilizing equipment for pre and post evacuation of the chamber. 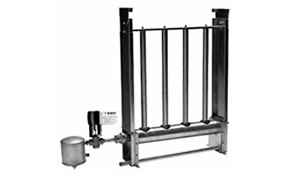 The Suction/Mixing Tee is a unique and specialized product used for blending, mixing, aeration or even heating by mixing steam and water together. Available in Cast Iron, Bronze and Stainless Steel. 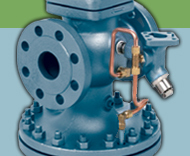 Freeze Protection Valves automatically open and dump liquid to protect equipment from freeze damage. 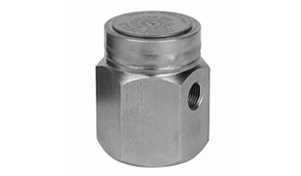 Scald Protection Valves automatically open and dump overheated liquid from a system to protect personnel from possible injury due to scalding. 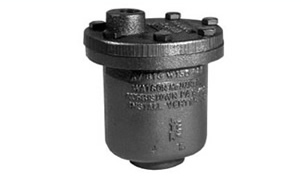 Exhaust Heads are used to separate entrained water from steam prior to being discharged directly to the atmosphere, preventing damage to rooftops and other equipment. 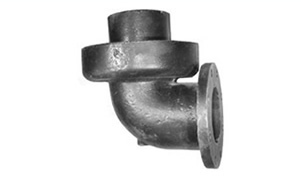 Drip Pan Elbows are used to collect and remove condensate. 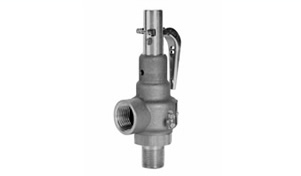 Typically used with steam boilers, pressure relief valves, safety valves and steam pressure vessels and lines. Flash Steam Recovery Vessels or Flash Tanks are installed in condensate return systems in order to capture and utilize the flash steam coming off the hot condensate. This flash steam is typically piped away for use on low pressure steam processes. 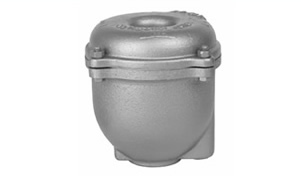 Strainers remove scale and dirt from steam systems and are designed to protect critical components such as Regulators and Steam Traps from damage. 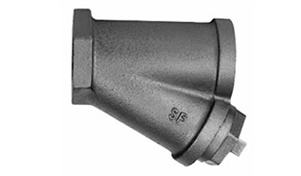 These Y-Type Strainers are available in Cast Iron, Carbon Steel and Stainless Steel up to 4” in size.